We raised our right hands and pledged to support and defend the Constitution. That commitment does not stop. 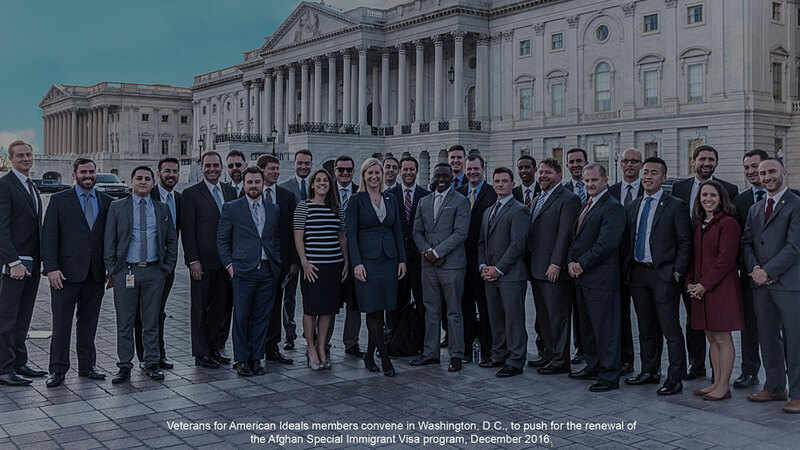 Veterans for American Ideals is a nonpartisan group of veterans who share the belief that America is strongest when its policies and actions match its ideals. We dedicated our lives to our country as citizen-soldiers, and we believe that honor, courage, commitment, duty, and country are not just words, but values worth defending. 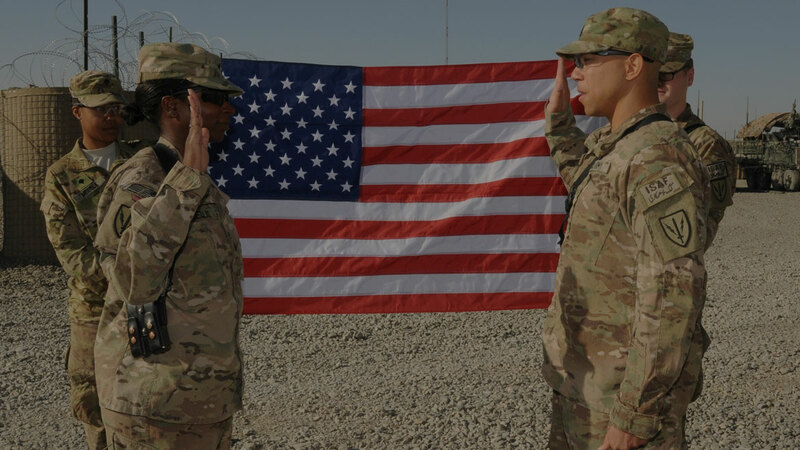 After taking off the uniform, we seek to continue serving our country by advocating for policies that are consistent with the ideals that motivated us to serve in the first place. 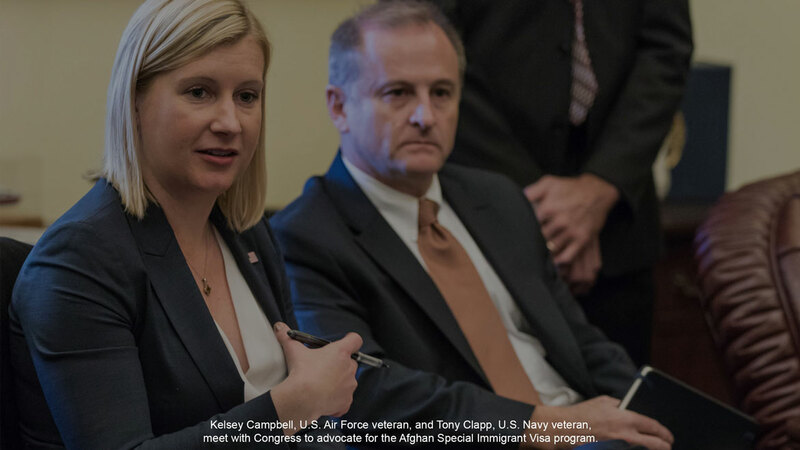 Our current campaigns are focused on saving the Special Immigrant Visa program for interpreters and translators who served with the U.S. military, protecting refugees, and countering Islamophobia. We, veterans, dedicated parts of our lives to our country as citizen-soldiers. We believe that honor, courage, commitment, duty, and country are not just words, but values that embody our service and our entire nation. To be a citizen-soldier is to be part of a courageous and service-oriented family that breathes life into citizenship. 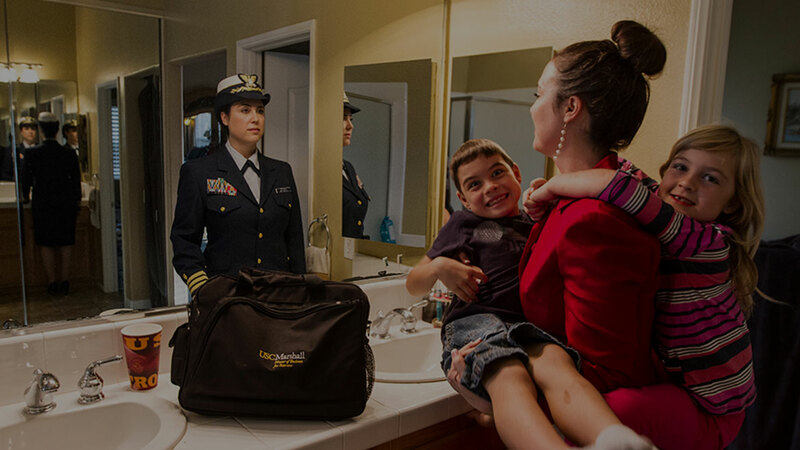 After taking off the uniform, we seek to continue serving our country. Veterans for American Ideals advocates policies that are consistent with the principles that motivated us to serve in the first place. Veterans for American Ideals, in collaboration with Starbucks, is proud to present SIV Sips. By bringing veterans and refugees together for coffee and conversation, we build bridges between communities and grow together. 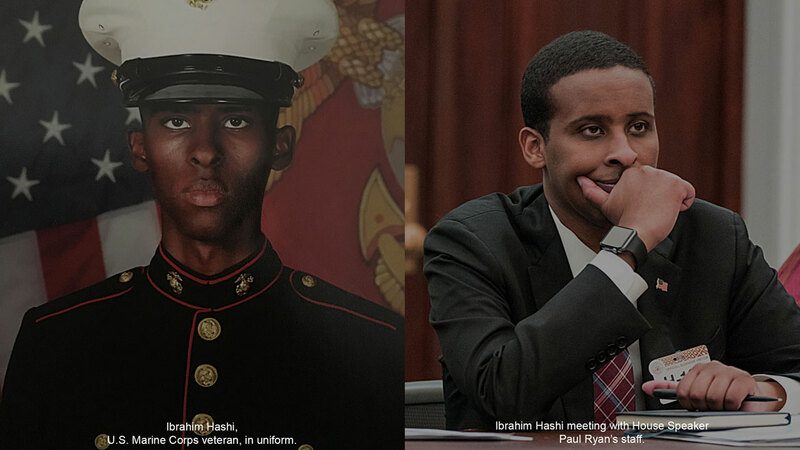 Named "SIV Sips" in honor of the brave interpreters and translators who received Special Immigrant Visas for their service alongside U.S. troops in Iraq or Afghanistan, the project shows new Americans that they are part of a community, and veterans that their work isn't done just because they've taken off their uniforms. Hosted regularly at Starbucks stores in 14 U.S. cities, SIV Sips invite attendees to sip coffee, build their networks, and share the challenges and victories of life in the United States. Last year, we welcomed our newest neighbors and nurtured the special bond between veterans and SIVs. In 2019, we look forward to hosting SIV Sips in new locations, and to building more welcoming communities together. Shakir Radeef was an Iraqi journalist working in countries across the Middle East, covering election news and human rights issues, including the refugee crisis, before he applied for refugee status and was resettled in the United States in 2014. "After living in the United States for almost five years, I now know with certainty that there is more than enough room in this country to offer safety and security for those who have been pushed out of their homes," he says. "The United States is a land of opportunity and there are opportunities here for the persecuted to use their skills and talents to make the nation stronger." September 19, 2018 Dear Members of Congress, We represent more than two hundred thousand veterans from every branch of the United States military and every American conflict since Vietnam. Brothers and Sisters in Arms As veterans, we served with and often depended on interpreters, translators, and other local allies to carry out missions in Afghanistan. Many of these individuals’ lives are now in danger as a result of their service. In Amman, Jordan, a group of men formed a support group to cope with trauma they experienced as refugees. They are fighting to come to terms with being unable to work and support their families, which makes them vulnerable.